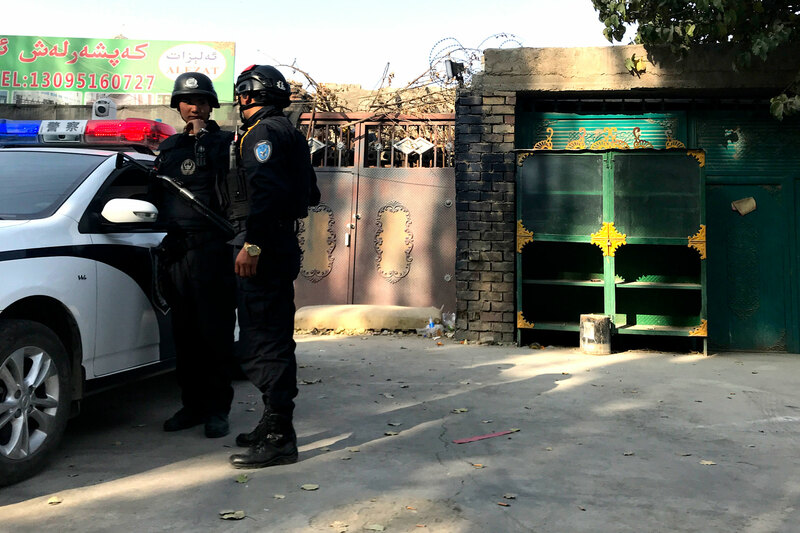 Beginning in April 2017, Uyghurs accused of harboring “strong religious views” and “politically incorrect” ideas have been jailed or detained in political “re-education camps” throughout northwest China’s Xinjiang Uyghur Autonomous Region (XUAR). Credible sources suggest that some 1.1 million people are or have been detained in the camps, which equates to 10-11 percent of the adult Muslim population of the region. 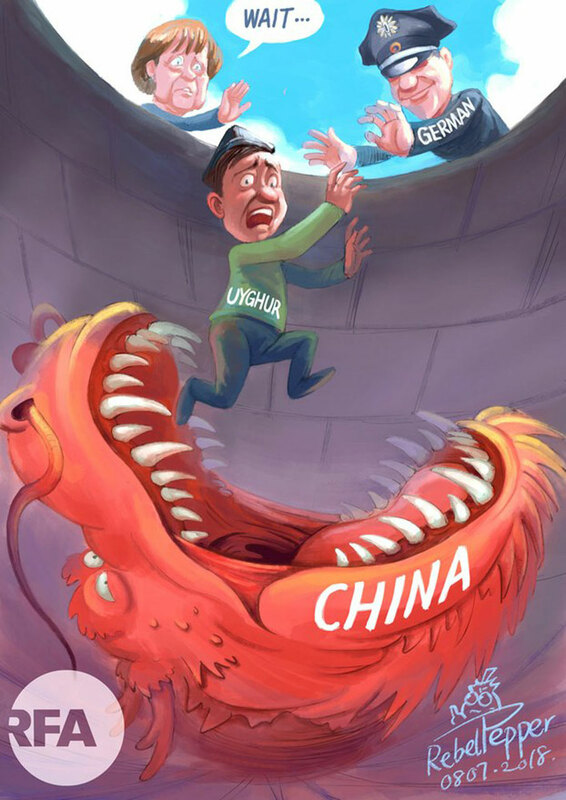 Uyghurs have long complained of pervasive discrimination, religious repression, and cultural suppression under Chinese rule. 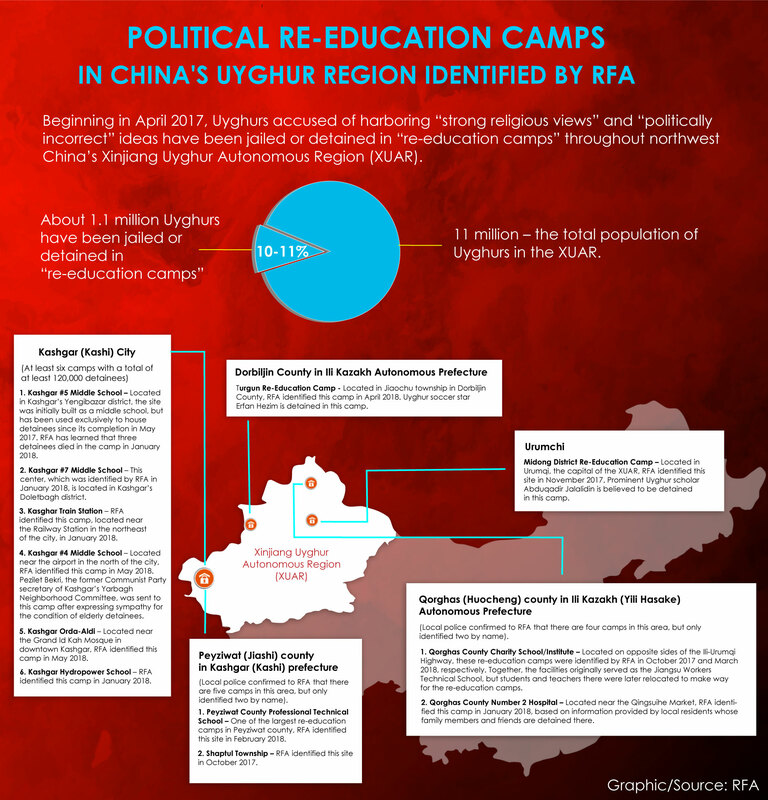 RFA’s Uyghur Service recently interviewed several Uyghurs who shared details of the abuse they endured while forced to attend political indoctrination sessions, or while detained in extrajudicial prisons and in the re-education camp network. 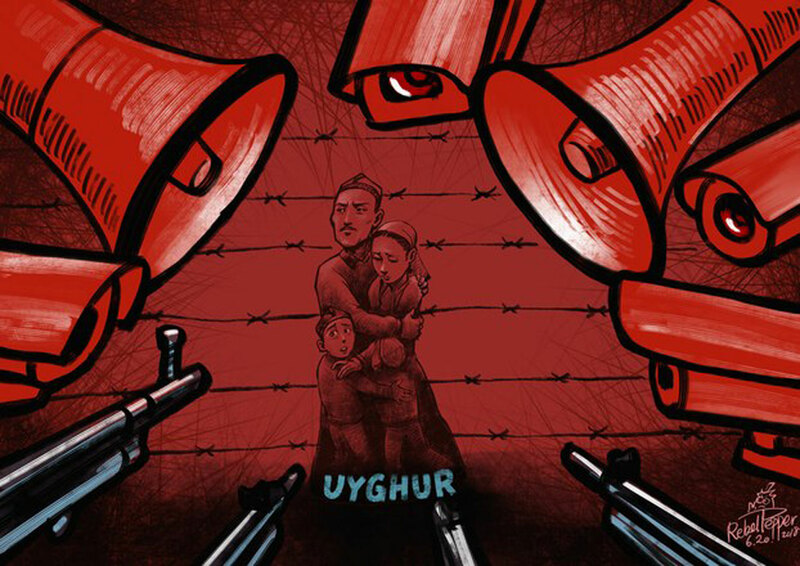 A Uyghur woman who studied in Turkey relates the abuse she endured on her return to the XUAR. 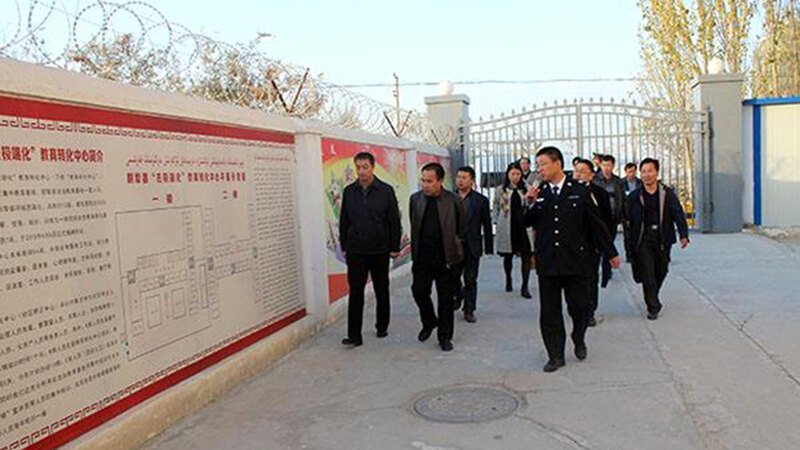 A Uyghur former inmate of a political ‘re-education camp’ recounts life inside the secret facility. 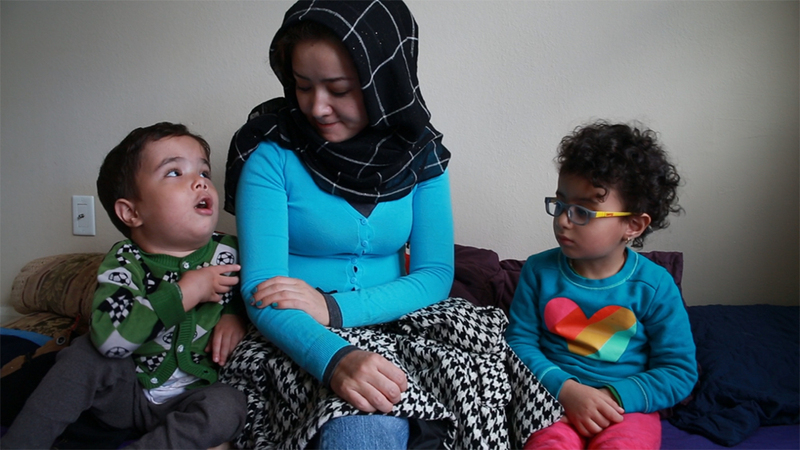 Mihrigul Tursun is a 29-year-old Uyghur woman from northwest China’s Xinjiang Uyghur Autonomous Region (XUAR) who gave birth to healthy triplets in Egypt while her husband was working there in 2015. 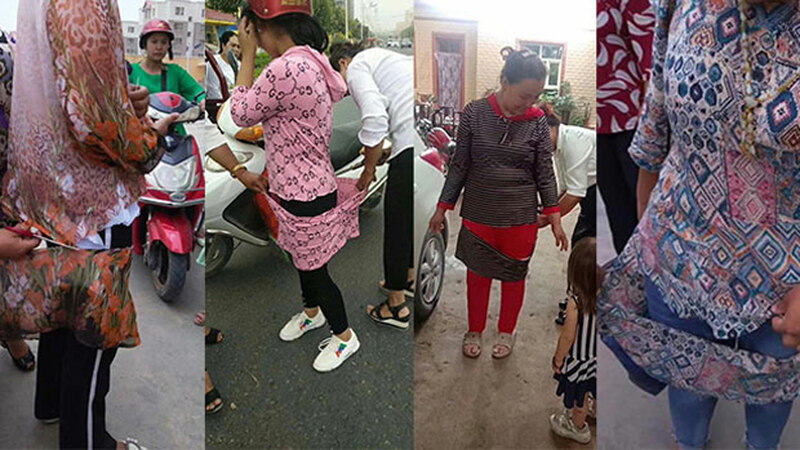 Soon after her children were born, she returned to China seeking help from her parents to raise them, but was arrested by XUAR authorities upon arriving by plane in the regional capital Urumqi, and the triplets were taken from her. She was released on “parole” weeks later after learning that her children were suffering from a severe respiratory illness that required surgery, but one of her sons died under mysterious circumstances while being cared for in a local hospital. 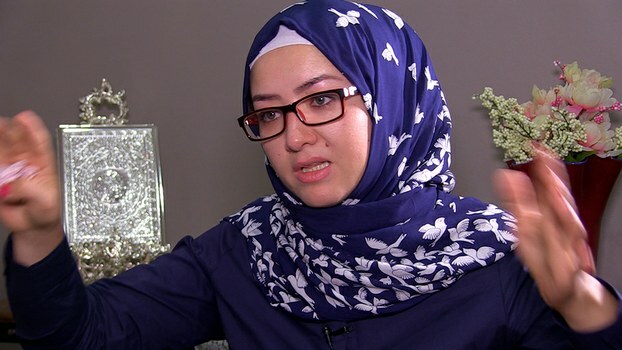 Mihrigul Tursun speaks to RFA during an interview in Virginia, Oct. 11, 2018. 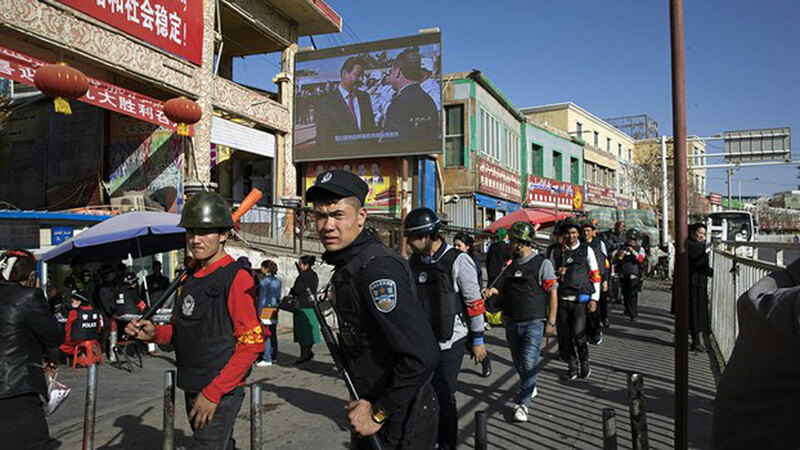 In the years since the boy’s death, Tursun was taken into custody several times, including at one of a network of political “re-education camps,” where Chinese authorities began detaining Uyghurs accused of harboring “strong religious views” and “politically incorrect” ideas in April 2017. 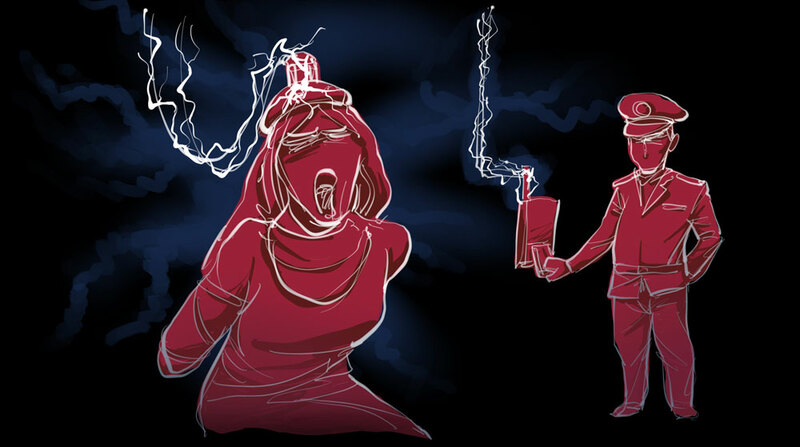 Tursun said she was targeted because she had lived in Egypt—one of a number of countries blacklisted by authorities in the XUAR because of a perceived threat of religious radicalization. While she was able to relocate to the U.S. in September, Tursun’s other son and daughter have developed health complications that require constant monitoring, and she has lost all contact with her husband and other family members. 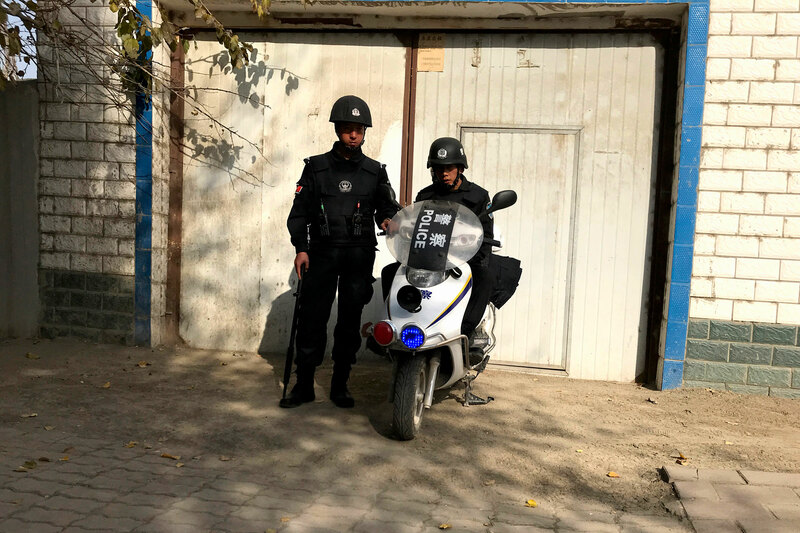 She recently spoke with RFA’s Uyghur Service about the struggle she endured during the three years she spent in the XUAR before fleeing China. RFA: What happened to you and your children after you returned to the XUAR from Egypt? Tursun: I had triplets—two boys and one girl—in Egypt in 2015. My husband was working there, so I had nobody to help me with the kids and I had to return home [to Cherchen (in Chinese, Qiemo) county, in the XUAR’s Bayin’gholin Mongol (Bayinguoleng Menggu) Autonomous Prefecture] to get help from my parents … When my kids were given a medical checkup in Egypt, their health was in a great shape. 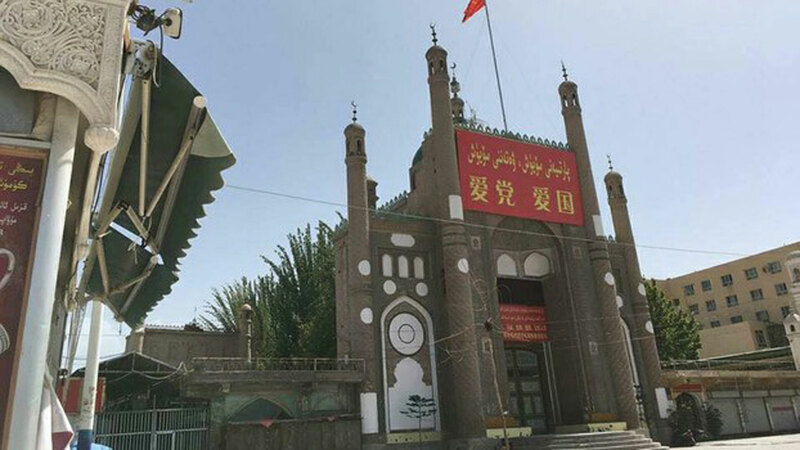 I entered the Urumqi airport with my three kids when they were about two months old, on May 13, 2015. At passport control, they asked me to go with them to a different room and questioned me, saying that police would watch my children while they briefly spoke with me, but the questioning lasted three or four hours. At the end, they put a hood over my head and handcuffed me, and brought me out through a different door. My tickets and other belongings were confiscated and I was taken straight to a prison, where I was held until July. [The prison authorities] eventually told me I had been “paroled” because my kids were sick, and that I should be with them until their health improved. They also said that I was still under investigation, and that they would contact me whenever they had additional questions for me to answer. They held onto my passport, identification, cellphone—everything. I went directly to the hospital where my children were … and demanded to see my boy [who was in the emergency care facility], but they wouldn’t allow me to—I could only view him from afar. I couldn’t tell if he was breathing or not … The next day, they called me in and told me they couldn’t save him … They gave me his corpse. They had operated on his neck. The reason they gave for his death was that the treatment hadn’t worked, and that he had been unable to breathe. The other two kids were okay—all three of them had been given operations on their necks. I was told that since they could not eat, they had to be fed with a tube. I didn’t understand. The babies had been breastfeeding without any issues. 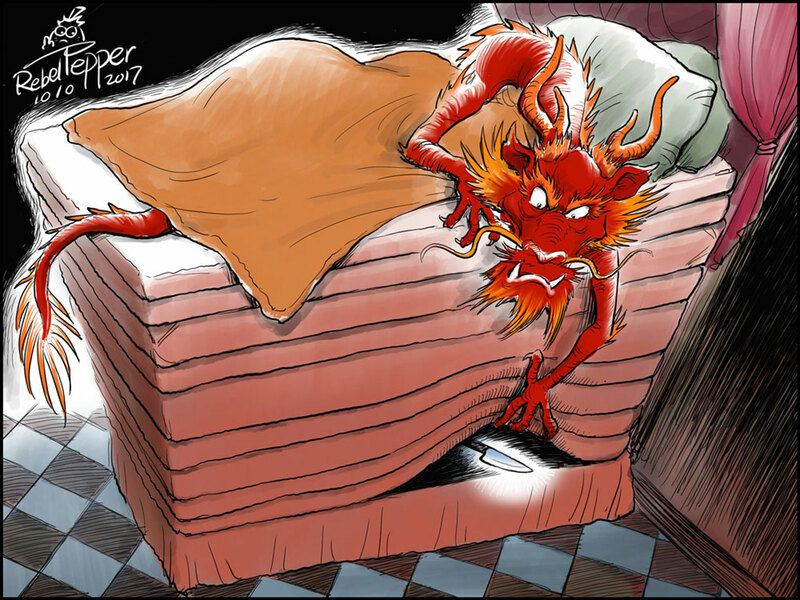 I couldn’t communicate with my husband after I arrived [in the XUAR]. I was told not to communicate overseas. I wanted to let him know what had happened, but I didn’t know how to tell him. I buried my dead child and then I was left to deal with the trauma of losing one child, all while nursing two others and seeking medical treatment for them, in addition to needing surgery performed on my daughter’s eye … The health of my two kids has been poor ever since—especially my son. 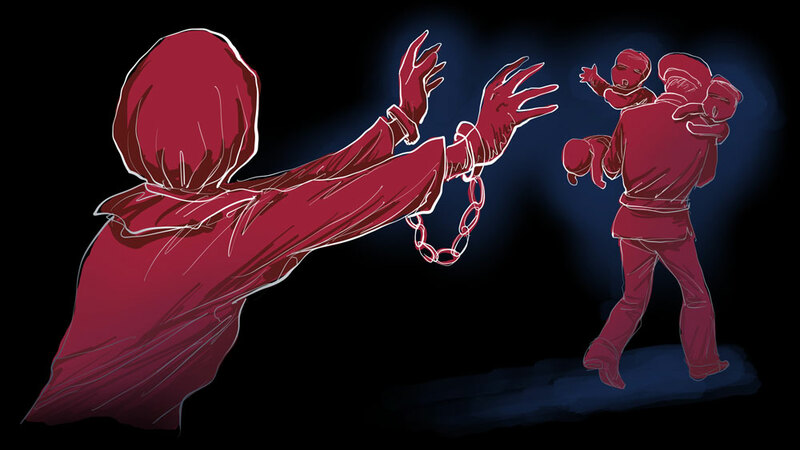 RFA: Did the authorities ever take you into custody again? Tursun: I was detained again in April 2017 [while living at home in Cherchen county], and released soon after. They wanted to interrogate me about what kinds of things I did in Egypt. I was unable to return to Egypt before this detention because all of my documents were in the hands of the authorities, and I had been blacklisted. I was tortured for seven days and nights without sleep by members of the national security department … They examined me and shaved my head. I was locked up until August, when I was released [to a hospital] because I was frequently suffering seizures and losing consciousness … Later, it was determined that I be sent to the No. 4 Mental Hospital … but my father was able to take me home for treatment, and I recovered. I was detained [the last time] in [January] 2018 … When I was sent home [after being interrogated] before this detention, I was able to go out only with the permission of the local neighborhood committee, which demanded to be informed of my comings and goings. Normally, I couldn’t even enter a store [without permission]. I couldn’t even leave our neighborhood because I would be identified as a person who had committed an unspecified crime when swiping my ID [at a checkpoint], as I had been blacklisted. When they interrogate me, they basically ask the same questions: “Who are you close to? Who do you know overseas? For which overseas organizations did you work? What was your mission?” They ask these questions because I lived overseas and because I speak a few foreign languages, so they are trying to label me as a spy. When I entered the cell, there were more than 40 women in it, but when I left, there were 68 … All of them were people I knew from the past. The cell had no windows … it was built underground … We were never taken outside to get fresh air. They would only open a hole in the ceiling for ventilation … There were cameras on all four sides—they have to see every corner of the room. 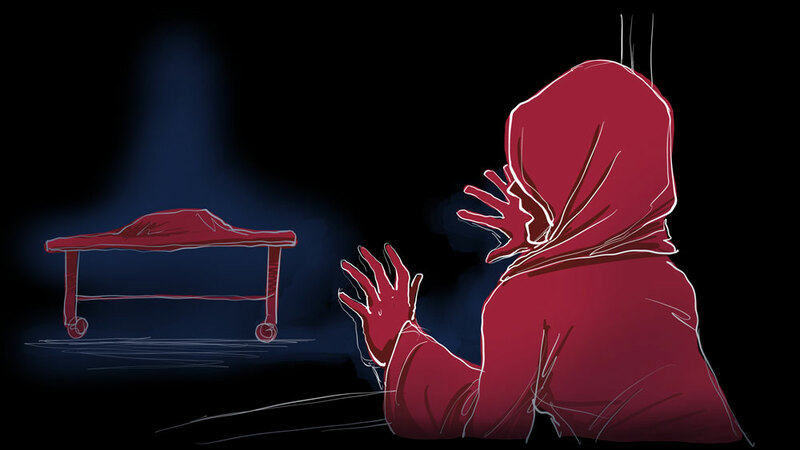 I witnessed nine deaths in my cell alone. They told us that some of them had previous illnesses, while others they said died because their hearts stopped beating … We had sick people, but they were never taken to the hospital. RFA: How did you obtain your freedom? Tursun: The day I was freed [about three months later], I was told to collect my belongings in the cell and come out … They gave me back my own clothing and took the prison uniform. Two hours before my release, I was given an injection. They made me swear a lot of things and took a video of it. I swore, “I am a citizen of China. I love China. 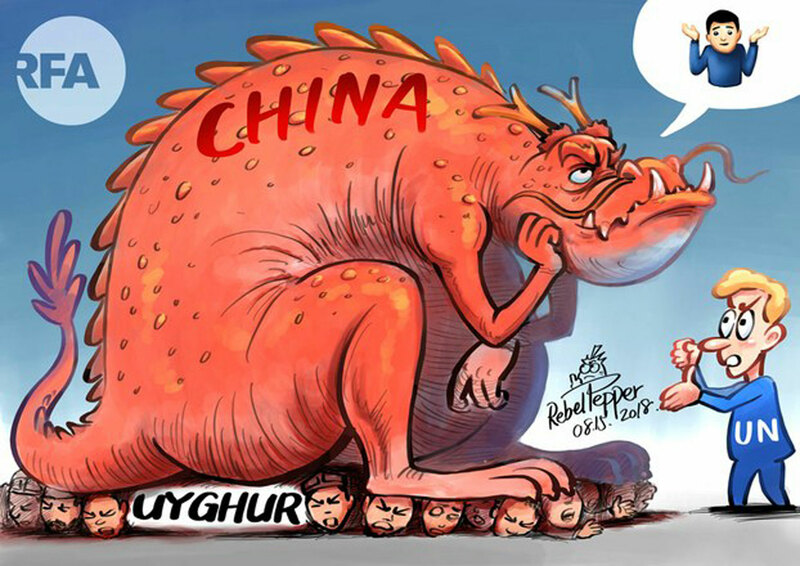 I will never do anything to harm China. China has raised me. The police never interrogated or tortured me, or even detained me.” I read the statement and signed it. I was brought to see my kids, who were staying at my neighbor’s house. They looked skinny and bruised. I was told they had bruises on their faces because they had fallen down. I took them and their belongings while being monitored by the police. I didn’t see my parents anywhere. The police told me to return after taking my kids back to Egypt [where they had been born and have citizenship]. They asked me when I would return. They warned me that my parents, siblings and other relatives were at their mercy. They said they were the ones protecting me. Then, they took my fingerprints, blood sample, recorded my voice, and documented my movements, as well as everything else. I was released on April 5 and left Cherchen three days later. I stayed in Beijing for 20 days because I was prevented from boarding my plane three times by authorities [who said I didn’t have the correct documents] … I was able to leave only on the fourth attempt. I landed in Cairo, Egypt on April 28 … I looked for [my husband] as soon as I arrived, but I learned from his coworker that he returned to China in 2016 to bring his family back and was detained at the airport in Beijing. He was later sentenced to 16 years in prison. 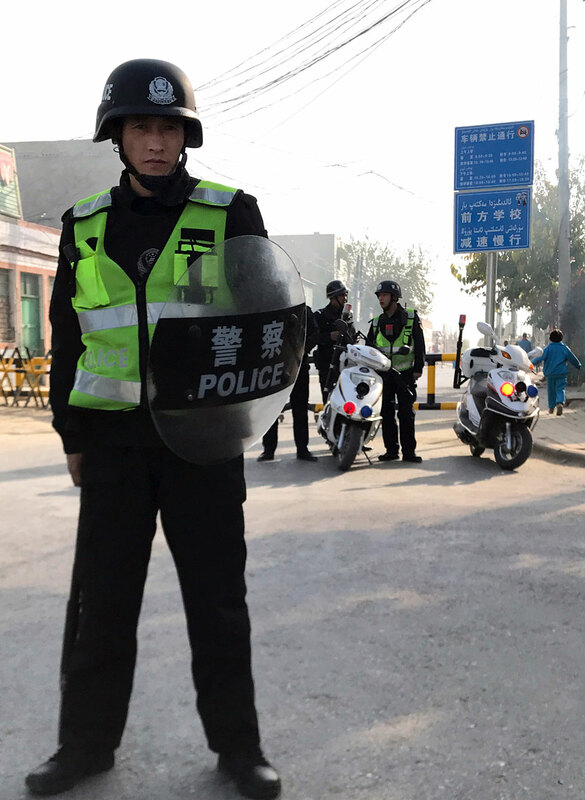 Since leaving, I was once able to contact the teacher of my sister, who was studying in eastern China, and the teacher told me that authorities in the XUAR had arrested her while she was there during a break from classes. I haven’t been able to reach the teacher again. In July this year, I received a message from my father saying I should return to China as soon as possible because our family members missed the kids. After that, all communication ceased. I arrived in the U.S. on September 21, 2018. I have no words to express my feelings about coming to America. Sometimes, I wonder if I really arrived in America or if I entered heaven after dying in a Chinese prison. I did not believe I would leave prison in China alive. I was abused, persecuted and tortured in my own homeland where I grew up. America saved me from death. 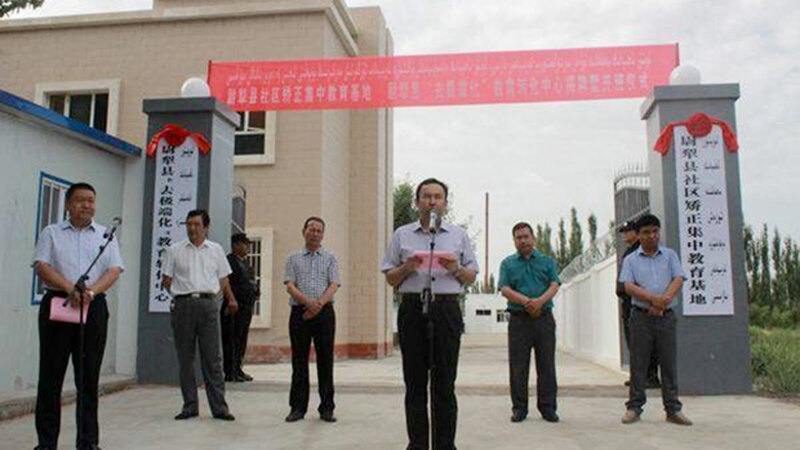 Reported by Gulchehra Hoja for RFA’s Uyghur Service. Translated by Mamatjan Juma and Alim Seytoff.